At Sparking Literacy we aim to change the lives of students who might be considering, or are at risk, of dropping out of school. Our mission is simple. We want to inspire teens to read, write and follow their dreams. Yet, most resources for literacy are directed to younger kids to help them learn the basics of reading. We want to touch those middle and high school students that may have fallen though the cracks. The impact of low literacy in the United States is staggering. 90% of high school dropouts are on welfare. 50% of adults in the U.S. can’t read well enough to do simple tasks like reading prescription bottles, costing the healthcare industry $70 million a year. 3 out of 5 people in prison can’t read. We want to intervene with teens who are on this path to failure. Our mission is simple. We are inspiring teens to read, write and follow their dreams. We are doing this by hosting events in schools with authors of young adult books that appeal to teens. We are working with teachers to find creative ways to use these books so teens are excited to read for class. We get the author’s books donated or subsidized so that teens who struggle with reading have a copy of the book while they are inspired to read. We are also sponsoring badly needed audio books as they are a great tool to help teens with learning difficulties to learn to read and better understand the material. 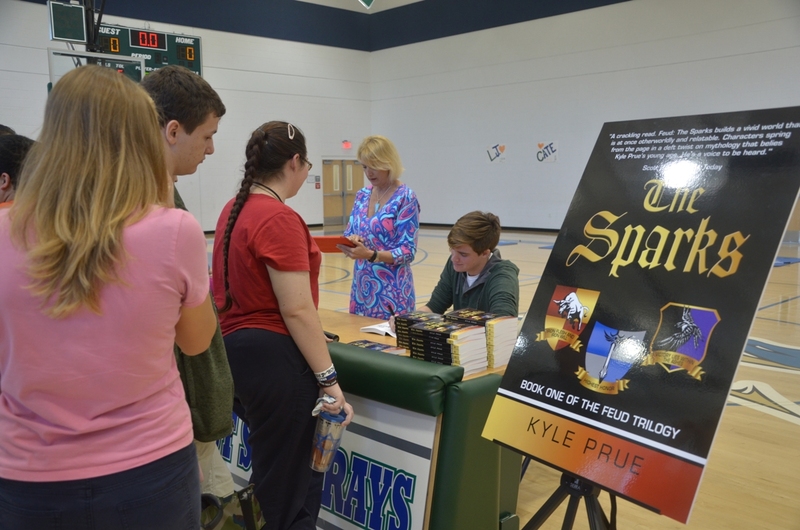 In addition, we are starting Sparking Literacy book clubs in schools to encourage teens to keep reading. Our mission is simple. But the results could be life changing. Help us make a difference.